Welcome to the Pottery Store! This is where I recommend some simple tools that are inexpensive and will help a beginner get started. I've also created a list of my favorite pottery books for you to check out (including a shameless plug of the two books that I have written... of course they're on my favorites list... I wrote them). Also, just click on these links to read about my two favorite pottery wheel brands. 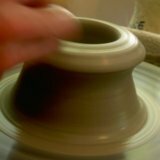 You can learn more about Shimpo pottery wheels or Brent pottery wheels. "This book is basically a complete pottery course." "This book is new as of May 7th, 2013. If you've seen his videos on you tube you'll know why it proves to be an interesting book." "This ceramics book is full of excellent tips, tricks and professional techniques with easy to follow lessons." "My favorite book on firing. 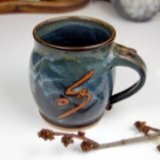 Easy firing schedules, loading and firing a kiln. 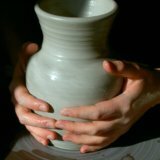 A wealth of information on throwing, clay, and pottery techniques." "Just like the title says this book covers just about everything pottery related, and in good detail." "A great step by step guide for the beginners through advanced. 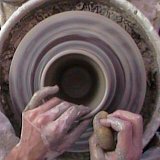 Throwing, glazing, and finishing." Thanks for supporting the Pottery-on-the-Wheel.com Pottery Supply Store and, as always Happy Potting.